Your loved ones’ touch captured forever. It’s so true to life you’ll feel as though they just pressed their finger into your cuff links. Keep loved ones close, always. Size of fingerprints on the cuff links are relative to finger size. Each cuff link can have a different fingerprint or both cuff links can use the same fingerprint. 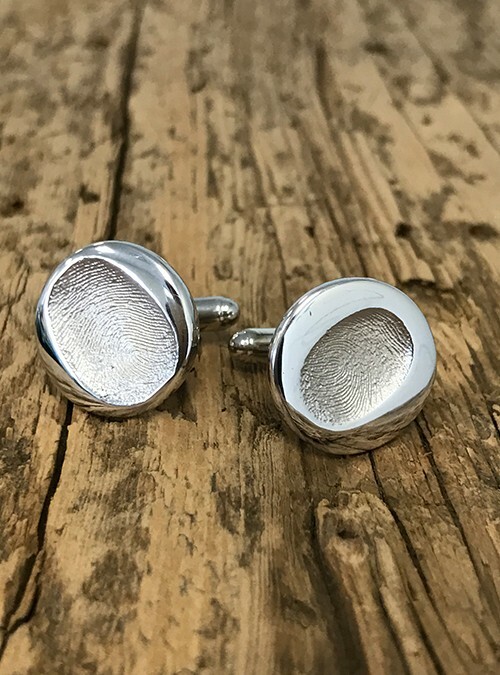 Your loved one’s fingerprint in high def on cuff links, 19 mm in diameter. Each cuff link can be different.